Flamenco dance shoe combined with black patent leather and drawstring. 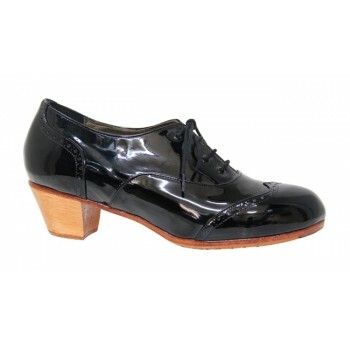 Flamenco dance shoe combined with black patent leather with laces, stitched sole and non-slip filis. Nails in toe and heel.